Winter in Iowa can prove challenging! Be careful out there and remember that each day that goes by gets us one day closer to spring. Staying in to avoid the cold and ice? Check out the digital collection of the Bomb, or better yet, help us transcribe it! ‘Tis the season for cold and snow. We may not have any snow at the moment, but it will come. And when it does, some people will hole up inside as much as possible, and others will run outside to play in it. The people in the above photo chose the latter. 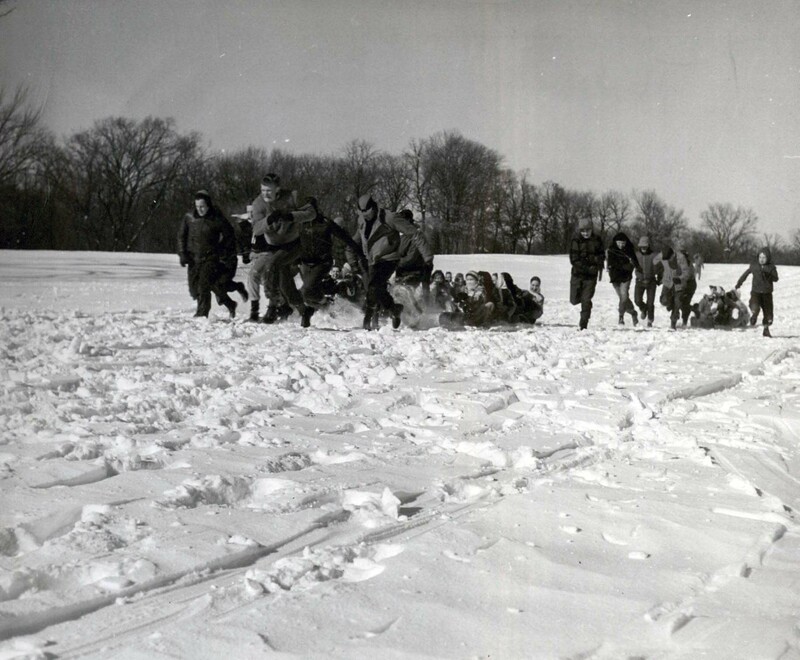 Skiing was one of the many activities offered during Iowa State’s Winter Carnival, held in the school’s earlier days. This particular photo was taken during the 1949 carnival, held in late January. Other activities included toboggan races, ice skating, and tug-of-war… on ice. Rather be inside? Stop by and explore any of our available collections while enjoying a great view of wintry campus in our reading room! This photograph shows the Memorial Union overlooking an ice-covered Lake LaVerne, unknown date. RS 4/8/4. With sub-zero wind chills, frozen lakes, and piles of snow, it seems a long, cold trudge until spring break on sunny tropical beaches! 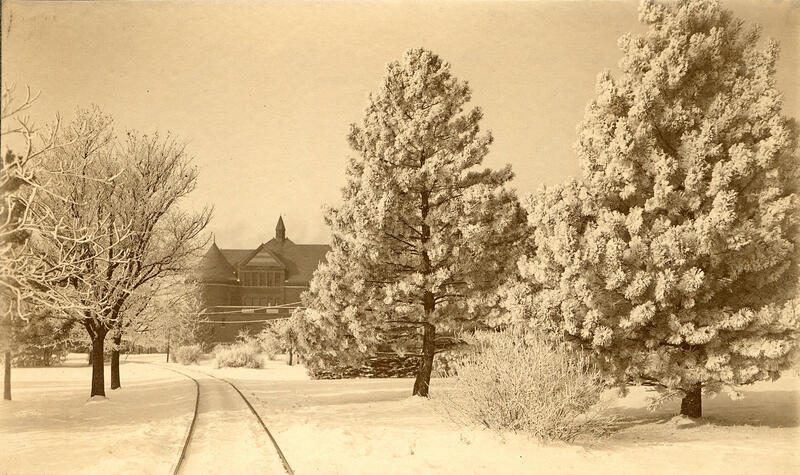 Special Collections wishes everyone warm thoughts and a prosperous and productive semester! Young men ice skating in rural Iowa, undated. MS 91, Box 9, Folder 1. This glass plate negative shows a group of gentlemen posing for the camera while out ice skating somewhere in rural Iowa. The cold didn’t stop these guys from having fun! This photo and several other from Pascal can be found on our Flickr site, and more information on photographer, farmer, and seed corn breeder Pascal can be found in this online exhibit. And, of course, this image and many others are available in our department, so stop in, warm up, and have a look!